With the much awaited shift in the weather, I have made my transition from strappy sandals to cozy boots. Lately, I have been literally living in them. With my current obsession, I’ve have been window shopping online a lot, and have tried some on in the stores. To narrow down my current favorites, I have rounded up some options. 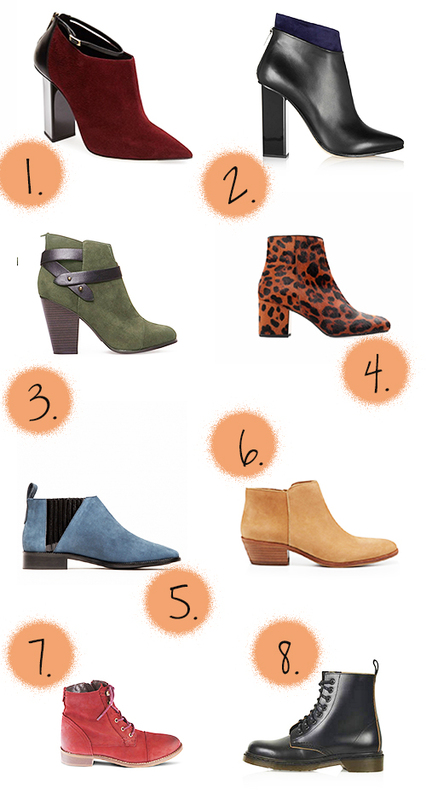 I love all of the different variations this season of the quintessential bootie. Whether you want a chic take on hiking boot, something flat with a rocker vibe, polished look for the night out, these are all far from your basic black boot.